Deb Brown's dream of becoming the Women's World Champion was finally realized in August 2015 at the NHPA championship in Topeka, Kansas. She went 13-2 in the championship final. 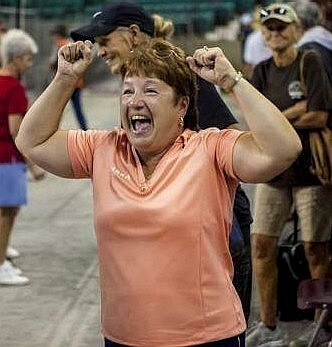 League Champion, Vermont Champion, New England Champion, and now World Champion, Deb has cemented her legacy as one of the very best horseshoe pitchers in the world at every level. Deb joins Brianna McCormick, Nick Preston, and Brian Simmons as World Champs who are also current or former Sodbusters Horseshoe Club members.